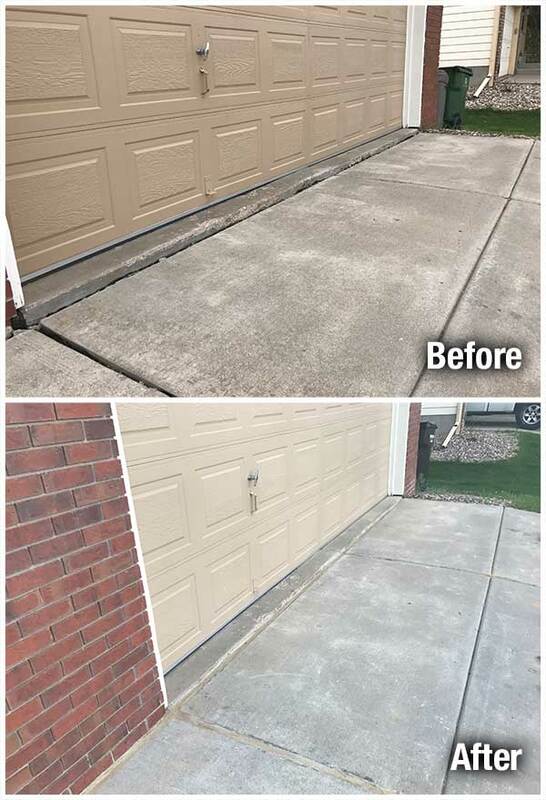 A-1 Concrete Leveling Colorado Springs offers a quicker and more economical option of leveling and repairing concrete garage floors over the expensive removal and re-pouring of new concrete. There is no disposal and removal of old concrete, no building permits are needed, the job time is reduced and the costs less over replacement. Concrete driveways can become uneven due to frost heaves from harsh Colorado winters. These freezing cycles and soil settling contribute to uneven concrete slabs. 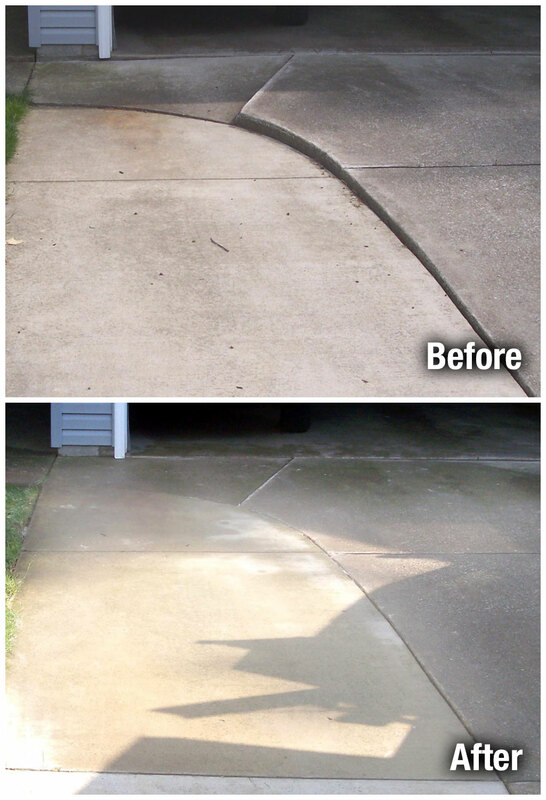 This unevenness leads to cracking which can eventually cause permanent damage to your driveway that is expensive to repair. Raising sunken driveway slabs before they crack will extend the existing driveway life for many years without the need for replacement. Our driveway leveling and repair process provides a stable, sealed surface which greatly reduces the likelihood of further settling, leaving your driveway able to with withstand the harsh Colorado winters for years to come. We will explain to you exactly what will be done every step of the way so that you know what to expect during your concrete driveway leveling and repair project from the beginning stages to its completion. In most cases, our concrete driveway leveling projects can be completed in a matter of hours instead of days for new concrete. Our fully insured concrete driveway leveling contractors utilize a safe and extremely effective, highly dense limestone aggregate slurry ideal for driveway leveling projects. Our concrete leveling technology allows us to fill any void while maintaining the structural integrity of the existing concrete steps by using the smallest diameter hole in the industry (1 inch). All the holes are filled with non-shrinking grout in order to preserve the original slab. We also provide concrete caulking and application of concrete surface sealer that hardens concrete and protects it against stains and surface deterioration. Our process avoids unsightly patchwork repair, leaving a beautiful visual appearance. Concrete driveways are typically ready to use the same day. Polyurethane Foam Leveling Option For certain applications we offer foam leveling, which may provide the best results based on soil types that require additional stability. Our concrete driveway repair and leveling team can handle even multiple driveways in one location. Contact Us today for a Free Concrete Driveway Inspection!